Do you want to replace the siding on your home in Pensacola, Florida? If so, allow the professionals at Majors Home Improvement to be of service. We are a local, family-owned company that has served homeowners in the area since 1997, providing quality home improvement products installed by factory-trained technicians. Our siding is manufactured by Alside, one of the top manufacturers in the industry, and is available in all of the most popular colors for Pensacola, FL, homeowners, including Coastal Sage, Midnight Blue, Autumn Red, and Platinum Gray. Your home siding will be installed by our highly trained installers who are meticulous yet efficient in their work. They adhere to strict customer service guidelines by providing Red Carpet Service, which is an internal checklist that our installers maintain to ensure our customers are given the best treatment possible. This includes keeping a clean worksite, being considerate of plants and pets, silencing cell phones, and more. 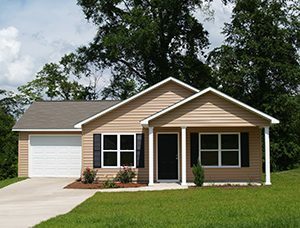 When you want new siding for your home in the Pensacola, FL, area, Let Majors Do It! Contact us today to schedule your complimentary consultation.